One of my biggest hangups using a quadcopter as a pro photographer is that all of my DSLRs backup in-camera to a second memory card. I’ve done this for years and it’s not a new practice by any stretch, but it is the wisest solution. In the event of a memory card failure onboard the Phantom 4 Pro, all images and video would be lost. A second card slot that could be used for backup or toggled to overflow remotely would be brilliant. When the technology gets there, in the unlikely event that the Phantom itself is unrecoverable, greater peace of mind could be achieved in having full resolution content transmitted to the controller and stored on that microSD card. Standardization can be a really good thing, especially at $169 per battery. Being able to continue using batteries in an updated hull would make me much more likely to add a newer model to my fleet. It always feels like a money grab anytime you have to replace all of the peripherals that support an investment. Take a page out of a DSLR manufacturers playbook, where one camera to the next typically allows for the same batteries, often the same memory cards, and always the same lenses, to be used with the newest model. For the controller, it boggles my mind that the DJI Phantom 4 Pro+ controller isn’t compatible with the Mavic. I chose the Pro+ version for the integrated display because I wanted a simple solution free of additional cables and charging that would hold up for a long time. There again, even if the range is extended with a newer Phantom and controller, being able to use an older controller for redundancy and to save on the upfront cost to be able to upgrade to a newer quadcopter sooner would rock. My least favorite part of the Phantom 4 Pro is probably the landing gear. It can be hard to land on uneven surfaces and in grass; the optic can sometimes get covered up which my particular nature isn’t a fan of. Improved camera clearance without the addition of any skids or adapters that are potentially flexible to handle uneven loads on bumpy surfaces would be great. This is probably a third-party item but I'd love to find a solid pontoon for landing on water. Also, could a waterproof hull for the Phantom 5 Pro be in the cards? 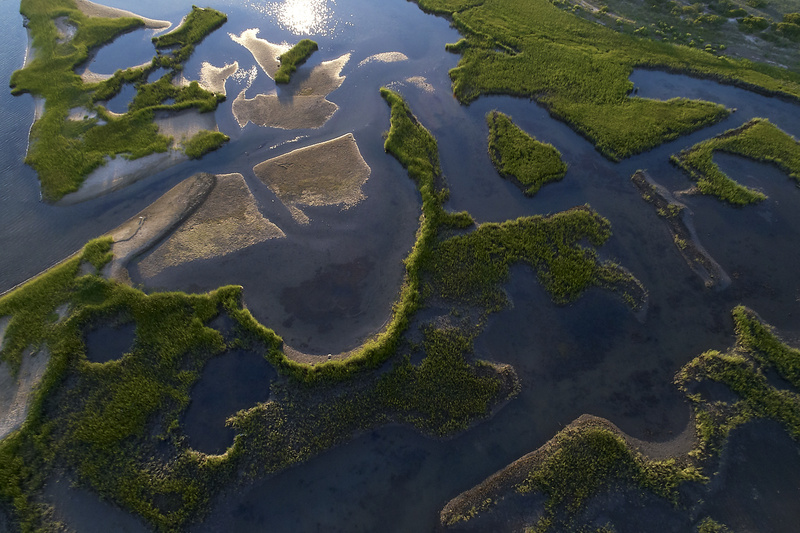 The 1-inch, 20-megapixel sensor on the Phantom 4 Pro offers great quality and an optimum resolution for how I photograph from above. I’d love to see DJI take a more mature camera manufacturer's approach and rather than try to squeeze higher resolutions out of the sensor, continue working to improving low-light capability, sharpness, color accuracy, and dynamic range. While the included DJI gimbal lock is great, I replaced mine with a Polar Pro gimbal lock. Ultimately that was to accommodate for their awesome circular polarizer and ND filters (which I will be reviewing in the near future), but the clear DJI lock is easy to forget to remove before powering on the Phantom 4 Pro. That’s apparently hard on the gimbal motor and Polar Pro’s black version is quite a bit more more noticeable. Having a bright red gimbal guard would make it even easier to remember to remove it before powering up the quadcopter. 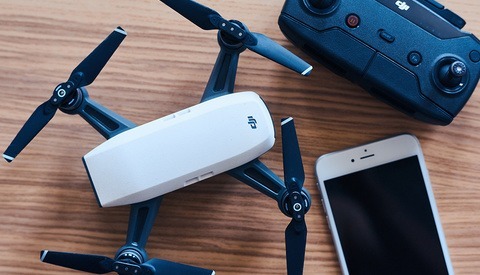 I would love to see this added to the Phantom 4 Pro now since it is available with DJI's Spark. Given how smooth the movement on the Phantom is, even to use a vertical cross section of the sensor to create a panorama image in-drone, similar to what an iPhone creates natively, would be incredibly useful. The Phantom 4 Pro is loaded with technology and sensors to help avoid collisions. In general it’s rock solid with one exception: vertical movements. I’m often petrified of the Return to Home feature for disconnected signals, as there is a cruising altitude that the phantom will return at. Quite often that altitude is higher than where I was flying, so any tree branches and power lines can get in the way. The only issues I have ever had in flight with my Phantom 4 Pro would have been resolved with an anti-collision sensor on top of the quadcopter. The Phantom 4 Pro might not know that there’s a branch or power line above it and on one occasion that caused a less than ideal landing from just a few feet off the ground. I was a bit surprised at how hard the Phantom 4 Pro still images at full size vignette and distort. The lens is 24mm, and there's a balance between video and still capture to maintain, so I get that the camera needs to be optimized for both mediums. If it isn’t possible in camera, that leads me to my next point. In Capture One Pro, camera manufacturers can submit profiles that are automatically applied to images. 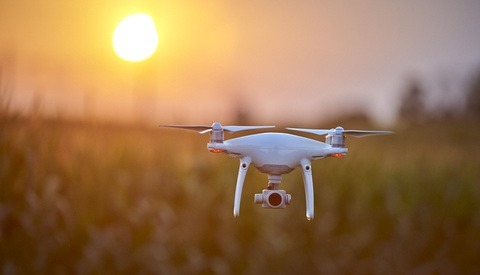 DJI, however, has yet to do so, despite having a partnership with Phase One. 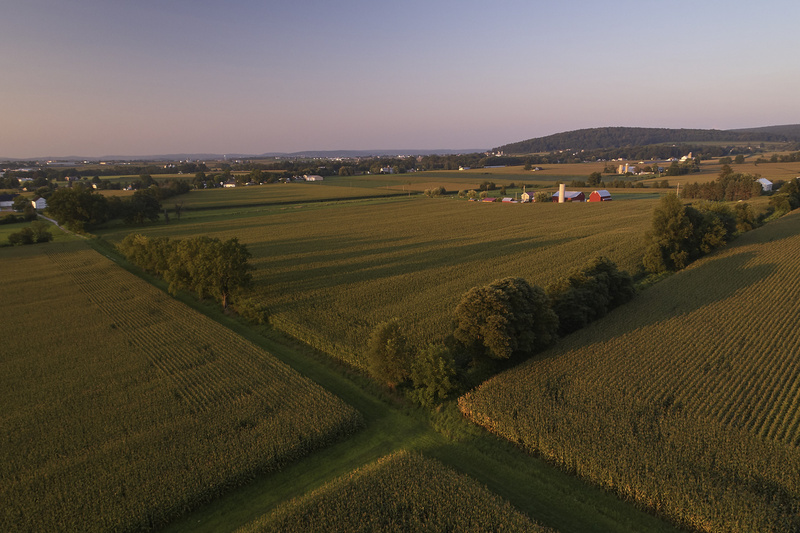 If you open a DJI DNG file in Adobe Camera Raw, the image will automatically crop out the vignetting and distorted areas. Sounds like a nice idea, but you have no control over how that happens. In Capture One Pro, however, you have full, independent control. I made a style (preset) to adjust for the distortion and vignetting, but I would much rather there be an official DJI lens correction profile in Capture One Pro 10. Propellors, hulls, landing gear, and propellor guards are all awesome components to have easy access to. For the Phantom 4 (Pro), there are many parts available. I'd like to see a DJI direct replacement for Phantom 4 Pro landing gear as they have offered for previous models. A friend and I were discussing the viability of voice control which initially seemed like a novelty. The more I thoght about it, it would open up doors to maintain direct line of sight more easily, spending less time looking down at a screen. Return to home, takeoffs, landings, or flying to a designated altitude could be among the features implemented. A gamer-style headset that functions via Bluetooth or plugs into the controller would help aid in accuracy. 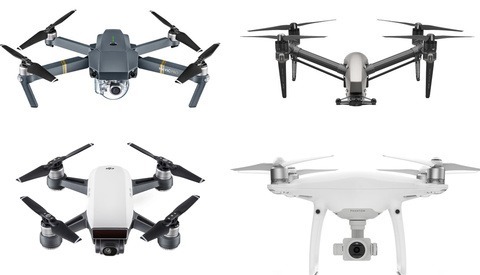 I consider flying with DJI as growing a fleet of drones as a commercial quadcopter pilot rather than jumping from the latest model to the next. That heavily influences what I hope to see from DJI in the future and I hope that underscores the value placed on brand loyalty and relationship. What would you like to see in the next update of DJI’s Phantom pro-level quadcopter? Let us know in the comments below. APS-c sized sensor would really tempt me. Hah! Now that's some wishful thinking. The X5 sensor is half the size (m4/3) and just the gimbal and camera is about the price of a Phantom 4 Pro, not to mention lens and the actual drone. You know that red gimbal lock 'feature' could be solved for under $5 with a can of spray paint and some masking tape. 42 MP Full Frame and small Sony RX1R2 camera sensor will be great. Or let us to use small camera if we need. * No more props in the frame. Move the camera forward or the props up or something, but I've had too many shots ruined. I'd like to be able to angle the camera upwards a few degrees without the props appearing, too. * Real 360 spherical obstacle detection at Sport mode speeds. Beginner pilots really need this for basic safety, but even pros could use the extra protection when, say, tracking moving cars flying sideways. * FOLDABLE. My Mavic is great, but the Phantom is simply more solid and reliable... But traveling with it is a nightmare. * Audible alarms in the event of a collision or failure to reduce the risk to people unaware of the drone. I'm careful not to put anyone I don't know in the path of the drone, but many people aren't, and DJI needs to do everything they can to reduce the risk of injury to bystanders. Also, I'd rather it used regular SD cards, because the size difference doesn't matter much and it would fit my workflow better. Minor point though. Honestly, die P4 Pro as a consumer drone is pretty much all I as wishing for. For commercial work, I use an Inspire 1 and RAW-Videos. For Fun, it's the P4 pro. Maybe, just maybe... a better video codec & more bitrate to make 4k 60 fps less prone to artefacts and macroblocking, please? I don't agree with backwards compatible batteries at all. I do agree that the batteries are expensive and a nuisance. But, you will eventually have to replace those batteries anyways, like any other electronic device. If theres one thing I would hope for the Phantom 5 pro is better low light capabilities and longer battery life which means they would have to remodel the battery. Every Phantom that came out had a different battery from one another. From 15 mins a battery to now around 30 minutes a battery. I think the biggest nuisance of all is needing to stop what you are doing to change the battery. I'm sure they will figure out how to get drones to stay in the air for an hour sooner or later. Everything else they added on is just a bonus. Its time to fix the battery. 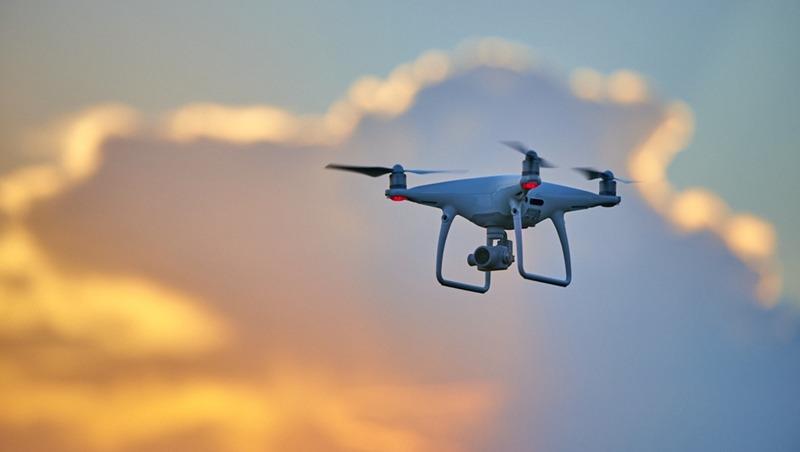 I have been doing a lot of research on drones with particular attention to cameras. While I love the Zenmuse X5 the price puts it out of contention. The Phantom 4Pro camera seems to be the best compromise in terms of IQ but my real wish would be to have a zoom lens on it. I shoot almost exclusively stills and the ability to adjust my AOV is very important. So my only wish is a short zoom of 24- 50 equiv. Jordan, please check out our company, DroneRafts.com! 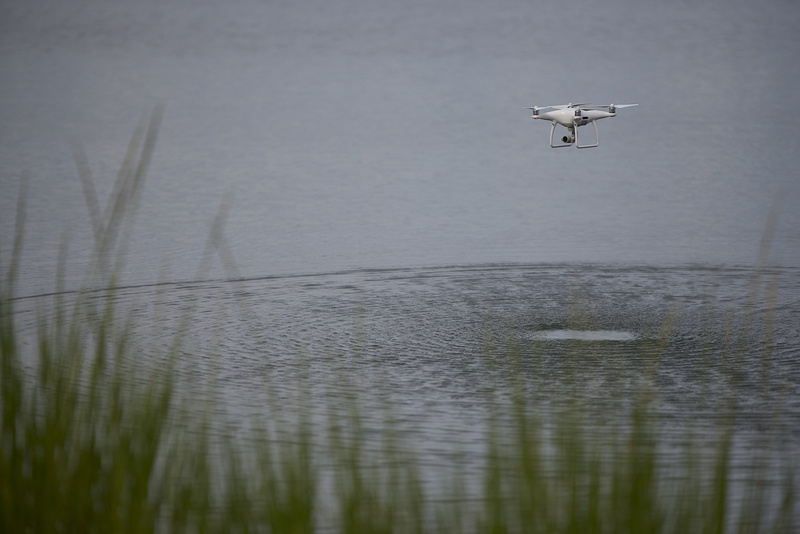 We make the WaterStrider, an all-terrain landing gear for the Phantom series that allows you to land your drone safely on water and all other types of rough terrain! We hope you try it out!